WE NOW DO PAINTLESS DENT REPAIR SERVICE!!! United Auto Body Inc. of Woodbridge, VA is the only place you need to go to for all types of prompt and professional auto body services. From the smallest dings to some of the most serious auto body repair work, frame straightening and paint, including commercial towing services, we do it all. We also offer a complete automotive service center with the very best deals on all types of tires. Little problems like dents or scratched paint may not hinder the performance of your car. However, these small damages can affect the overall look of your vehicle. This is where dent and body damage repair services from United Auto Body Inc. of Woodbridge, VA come in, getting all minor and major surface damage evaluated and fixed instantly. Our technicians here at United Auto Body Inc. of Woodbridge, VA will survey the whole vehicle, determine the extent of the damage, and take appropriate steps to fix it. 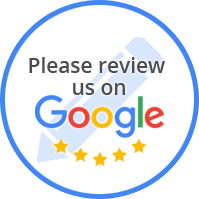 You Can Count On United Auto Body Inc.
“Great experience here. Got few quotes and this place was best value. They did a great job getting the scratches out of my car and I can't even tell where they were located. Everything is smooth and even. Great job! Paul and Yu provided great customer service. Seems like a family run business and they provided me with good attention and took care of my problem. They were able to complete the job in the time they promised and getting an appointment was easy (they were happy to work with my busy schedule and offered to pick/drop me off as well). Your One-Stop Source For The Best Auto Body Repair Service in Woodbridge, VA. Here at United Auto Body Inc. of Woodbridge, VA, we work with all insurance companies. We Make the Process Easier For Our Customers, and Guaranteed Repairs Back To Pre-Accident Condition. Our main focus is quality of work with integrity, so most of our clients come through referral to us through our satisfied customers. 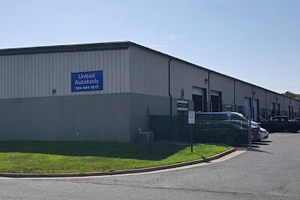 United Auto Body Inc. of Woodbridge, VA can handle any Insurance Claim work and will handle all the paperwork and make your experience as enjoyable as possible. We have been fixing cars here in Woodbridge, VA for many years and have the experience to do it right the first time.